The latest addition to the Stoning Demons series is available now in digital and print formats. This 40 page tool complements the materials in Books 1 – 5. This workbook is focused on Complex Post-Traumatic Stress Disorder (C-PTSD) as it relates to developmental trauma. 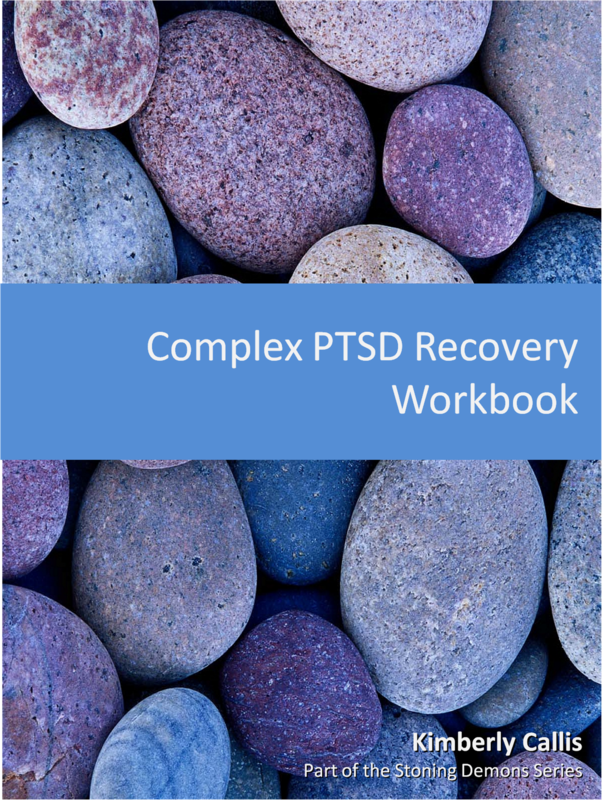 The workbook supports the Stoning Demons series of books and uses recovery approaches outlined in Book 5, Recovery and Therapy for Complex PTSD. The purpose of the workbook is to give examples of the methods and tools that I used as an informed patient through the course of my recovery from Complex PTSD. To order your copy, please click on the link below. You will be directed to a secure PayPal web page. The digital version can be printed, giving the option of adding pages and updating your recovery plan at any time. The print version is a full size, full color booklet that you can use to complete your inventory, update your journals and prepare your recovery and management plans. Thank you for your message and thank you for your support. 🙂 I am in the process of updating my Amazon bookshelf to include all of the titles. I should have them available there shortly. If you would like to order them directly using PayPal or your credit card, you can use the following links for each of the books. Please make sure you include your email address on the order. Let me know if you have any issues or questions. I just bought the digital version of this workbook. How do I download and open it? I did not receive any email with instructions. all I have is my receipt from paypal. I will send it to you directly. I have to fix something on the website. Thank you for letting me know. Let me know if you have any issues, Marie. The digital copy has been sent to you.